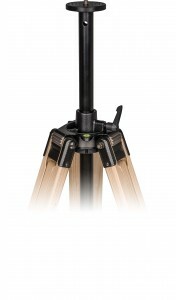 The tripod Report 432 is equipped with the module insert 3, i.e. with a permanently installed levelling ball, a diameter of 55 mm and a spirit level. 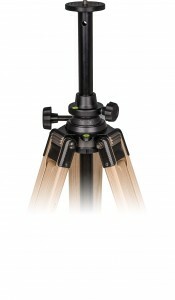 The tripod Report 402 is equipped with the module insert 0 and is thus the simplest and cheapest tripod version. Magnesium mounting head which is suitable for the mountig GP or Advanced Polaris by Vixen or with adapter for other mountings, such as Porta . You put the tray at the spread stopper and fix it with the black knob. 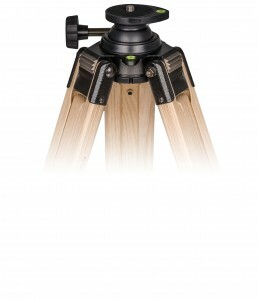 The tripod Report 422 is equipped with the module insert 2, i.e. with a centre column which has a length of 50 cm and a diameter of 25 mm, made of precision-drawn light-metal tubing which ensures an easy height adjustment. Mounting head with spring-mounted fastening screw - 1/4". 3/8" or 5/8". 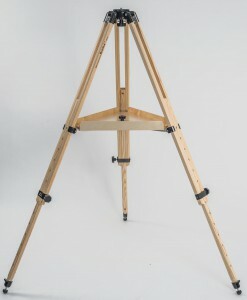 Adjustable leg spread possible at an angle of about 20°, 40°, 60°, 80° and 100°. The deposit tray (37 cm) is enclosed. 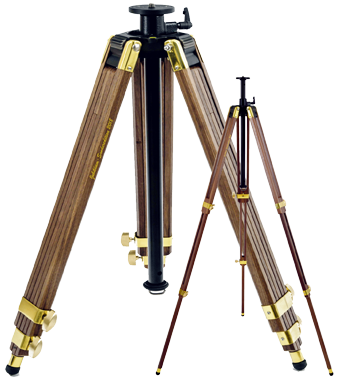 In connection with the Adapter recommended for Vixen Porta and Meade ETX-Astrotelescops.